On Monday Afternoon following a busy weekend that featured the signings of CB Walter Thurmond III & KR/FS Quintin Demps, Jerry Reese and Co. went out and got one of the last big names left on the Free-Agent market of 2014. The New York Giants finally have the true No. 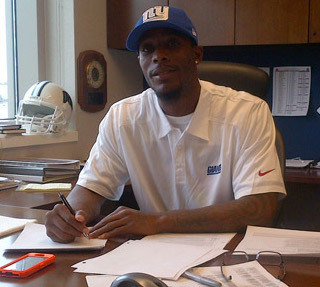 1 Cornerback they have been looking for in what seems like a decade in 27 year-old Dominique Rodgers-Cromartie, who inked a 5-year, $39 million contract with $15 million guaranteed. Rodgers-Cromartie (nicknamed “DRC” from his initials) has been an incredibly efficient corner in the NFL since his arrival in 2008 with the Arizona Cardinals. Now reunited with former teammate Antrel Rolle, the ball-hawking star will enter a perfect situation with the Giants in 2014. DRC has compiled 246 combined tackles, 19 interceptions, 3 forced fumbles, one sack, and five touchdowns in his six year career with the Cardinals, Philadelphia Eagles, & Denver Broncos. He was also selected to a Pro Bowl back in 2009, and has started in two Super Bowls in 2008 & 2013 (Cardinals, Broncos). This signing marks a significant effort from the Giants front office to provide coaches and fans alike the proper playmakers to bounce back from a disaster of a season in 2013. A secondary that now features Rodgers-Cromartie, Rolle, Prince Amukamara, Will Hill and Thurmond III should be in position to strike fear in opposing offenses in 2014, a feat Giants’ fans haven’t witnessed from their defense in years past. 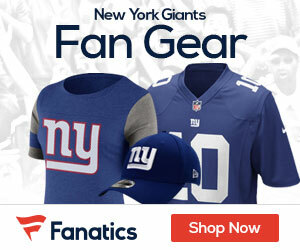 Watch DRC’s Interview with Giants.com’s John Schmeelk HERE. Christian Nelson is a writer for Giants Gab. Check out his Google+ for more articles from the writer.